The fierce competition between Apple and Samsung continue, from the mobile race and beyond to the mobile payment race. The latter involves such service as Apple Pay, which was launched in conjunction with the latest flagships iPhone 6 and iPhone 6 Plus. 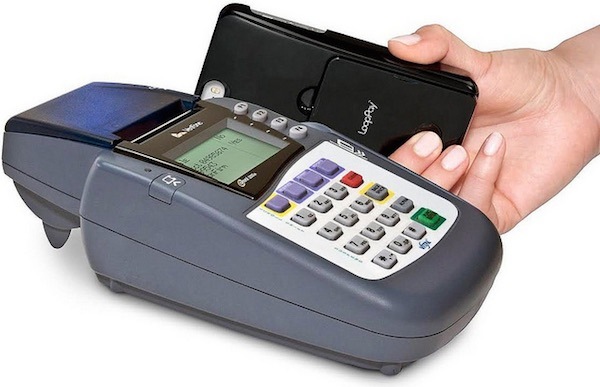 For its part, Samsung also took the veil off its version of a contactless mobile payment system called, quite innovatively, Samsung Pay, which also took off with the Samsung Galaxy S6 mobile devices. But up to this point in time, Samsung Pay seems to be lagging behind Apple Pay by a huge margin. What went wrong? Samsung is honest enough to reveal the real numbers pertaining to how much people have so far spent using Samsung Pay. According to the latest figure, some five million users of Samsung Pay have so far shelled out more than $500 million in the past six months. But the number pales in comparison with the figure from Cupertino. Apple revealed that users of Apple Pay have so far spent billions of dollars using the mobile payment system during the same period. Plus, there was a remarkable uptick in the adoption rate for Apple Pay during the last six months of 2015, suggesting a growing user base. Read also: How Samsung Pay works, and should you use it? The fact that these figures came in just before the tech giant rolled out the Apple Pay service in China in early February speaks for the acceleration of the system’s adoption, not just of the citizens in the United States but including other nationals as well. In keeping with the competition, Samsung also seeks to expand the scope of Samsung Pay to the Chinese market in hopes of outpacing the Apple Pay hegemony. But analysts are expecting the opposite. The inspiration for Samsung’s move may come from its deep-seated desire to lock customers to its environment, more like building an empire of Web services where users will have a one-stop shop of tools and products and do not have to leave the ecosystem to find another suite of services outside Samsung. But the move might not pay off at all for Samsung. That is particularly so for a couple of reasons. One being that the existence of another major competitor in the persona of Android Pay poses a real threat to Samsung. Majority of Android users are using, well, Android Pay, in contrast to Samsung Pay which is only available to Samsung users. And Samsung relies heavily on Android. So what will prevent Samsung Pay users from moving into the Android Pay service? Really, none at all.